Michelle DeFayette speaks fluent Portuguese and dabbles in French and Italian. She once danced in a Carnival parade in Rio de Janeiro, and she loves to dance the samba. She was the Brazilian team liaison for Women’s World Cup soccer tournaments in Washington, D.C., and she has worked for the Peace Corps and USAID. But sometimes she’s happy just to sit on her front porch. 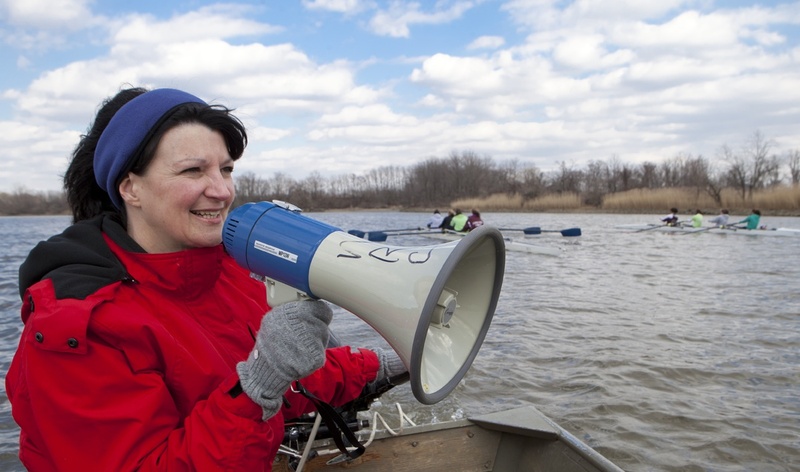 Michelle (’87 political science) lives in Silver Spring, Md. (just north of Washington, D.C.) in a cozy house built in the 1930s with her partner, Shannon England, to whom she’s been married for nine years. 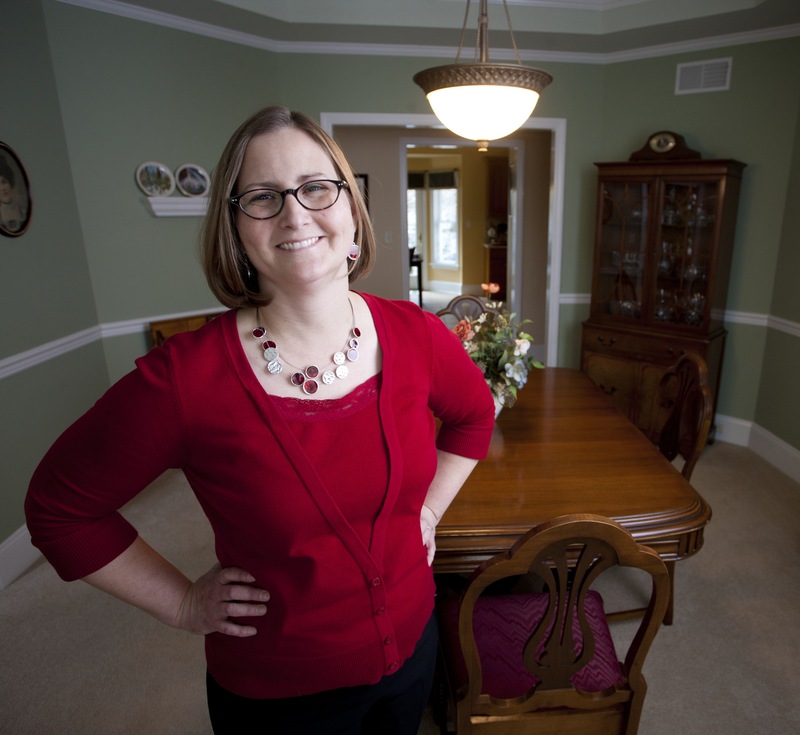 They live in a neighborhood of older homes where all her neighbors know each other. Michelle says she loves the diversity of her town. 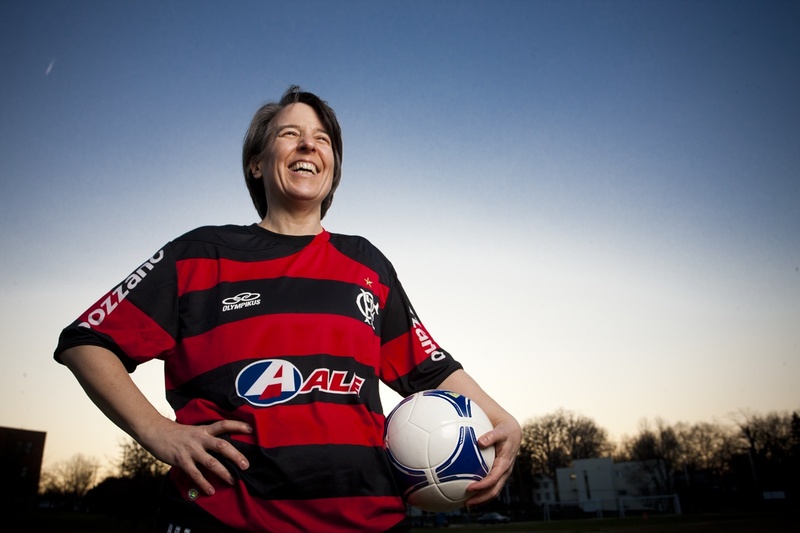 Michelle’s passions are twofold: international understanding and soccer. Her international experience started when she was in an exchange student in France during high school. She moved to Italy for six months after college and then lived in Brazil for nearly two years, where she fell in love with the language, the people, and the music. “When I moved back here, I had an international bent,” she explains. She worked as a training specialist for the Peace Corps and for Youth for Understanding International Exchange. She served as the training unit manager for the USAID Office of Foreign Disaster Assistance, training teams to respond to disasters in Sudan and following earthquakes, droughts, and the South Asian tsunami. She’s currently the project manager for USAID’s flagship training program and holds a master’s in international communication from the American University. Michelle’s second love – soccer – began when she was 8 years old. She played high school soccer in Damascus, Md., and helped start the women’s soccer club at Iowa State, competing at tournaments throughout the Midwest. She continues to play competitively (and for fun), on both indoor and outdoor teams. Despite the cold wind and rather ridiculous circumstances, Michelle never stopped laughing – or talking about how much she loves soccer. And, she added, her Brazilian friends would definitely want her to point out that the jersey she’s wearing is from the Rio de Janeiro club Flamengo – and it’s the coolest jersey in her closet. This is Part II of our visit with Mr. Ink (’47 government) at his home in Leesburg, Va. I had a unique opportunity serving in leadership roles with seven different presidents. I respected Eisenhower the most of any that I served. I respected Kennedy the least, but I found him the most exciting. But, gee, I had so much fun under all of them. Except Nixon’s second term. I had the most impact under Nixon. His first term was the best we ever had under an operations standpoint, but that turned around in the ’72 election. It was the Jekyll and Hyde presidency. I was the senior adviser to the Reagan transition team. I helped shut down the Anti-poverty Agency – I never expected that assignment. It was the hottest political issue [of the day]. Ted Kennedy led the opposition. [But together we worked to] persuade Congress to support the President to close it down and minimize difficulty for poor people. [At a classified briefing on the nuclear arms race I found myself] alone with president [Dwight Eisenhower]. I was so stunned [I couldn’t remember anything]. We talked about football…ISU vs Kansas. He relaxed me. Briefing the president, for a career person, was quite a thrill. We saw horrible destruction from the bomb. [It was] indescribable fury. I was terribly concerned about stopping the nuclear arms race. They can absolutely destroy civilization. It was THE most important security issue of the day. 55,000 square miles of surface rose or dropped at least five feet [in] Anchorage, Kodiak, Homer, Valdez…two thirds of Alaska where the population was. When we got up there we couldn’t find an engineer who thought we would rebuild enough in the first season to save the state. That would have been economic disaster. I really spent horrible nights trying to figure out what to do when everyone said it was impossible. We could not succeed using “normal” federal processes and procedures. We’d lose the state. They gave me all kinds of freedom to innovate. An Anchorage Times editorial headline called it “Government at its best.” The federal people were heroes in Alaska. I retired with the federal government when Reagan left office. I semi-retired at age 70 but worked part time until three months ago. [He is president emeritus of the Institute of Public Administration.] 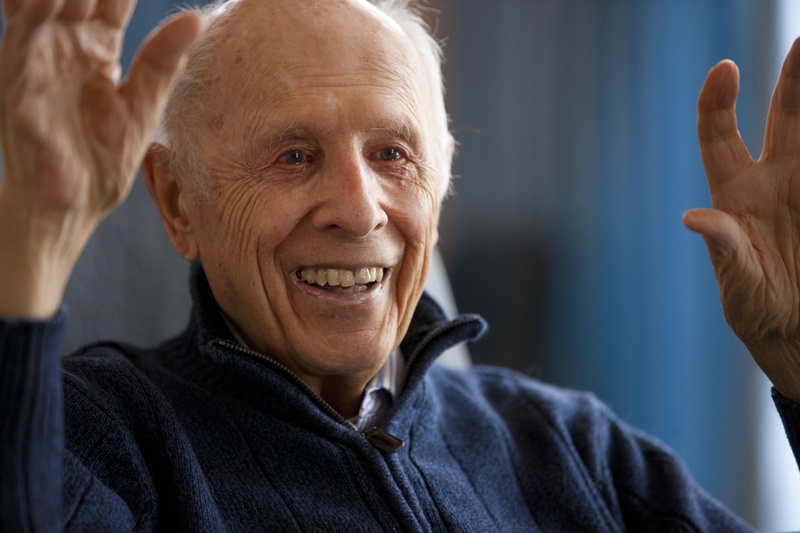 When I hit 90 I decided to almost – but not quite totally – retire. My wife says at 90 I should slow down. Dwight Ink (’47 government) is a man who gets things done. Described as “The Remarkable Dwight Ink” in the book If We Can Put a Man On the Moon: Getting Big Things Done in Government by William D. Eggers and John O’Leary, Ink held major leadership roles in the federal government for seven presidents: from Eisenhower to Reagan. As part of VISIONS Across America, Mr. Ink invited Jim Heemstra and me to visit him in his Leesburg, Va., home. I have to tell you, it was quite an honor to have the opportunity to hear, first hand, a few of Mr. Ink’s fascinating stories. This post is part one of two, based on those stories. In grade school, I had to drop out when it got too cold to go barefoot. My family could not afford shoes. I didn’t have much preparation for college. I almost flunked out my first year, but the university took a chance on me. Iowa State provided the environment and opportunity to go into [public service], the very best field I can possibly imagine. It’s a field you can go to the top as an average type of person. I did a lot of organizing on the Iowa State campus before and after [World War II]. When the debate coach got drafted, the university appointed me “faculty adviser” to the debate teams. They even gave me an office in Beardshear. I organized a national debate in the football stadium. I got to know political leaders in Iowa. These were experiences that very few universities would allow a student to do. I owe so much, so much to Iowa State University. I was a combat engineer for three and half years in World War II. I had a lot of time to think. I came back thinking that public service would be a field of interest. I’d never get rich, but it would provide a decent living and provide shoes for my kids. I did whatever was needed to do. My view of the career I chose was that I should focus on wherever I might be needed the most. In what other field could you have so much interest and excitement as public service? I can’t think of one. And you help people. It’s very fulfilling. 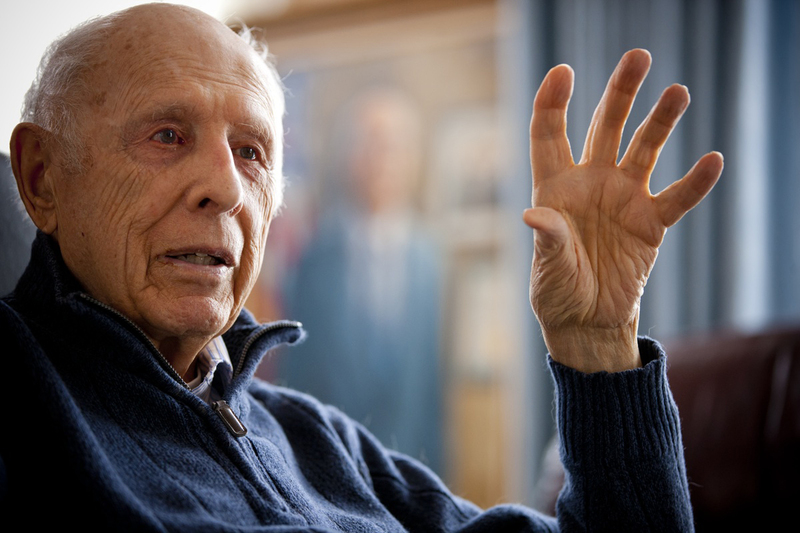 Next up: Dwight Ink on the projects, the presidents, and, at age 90, retirement from public service. 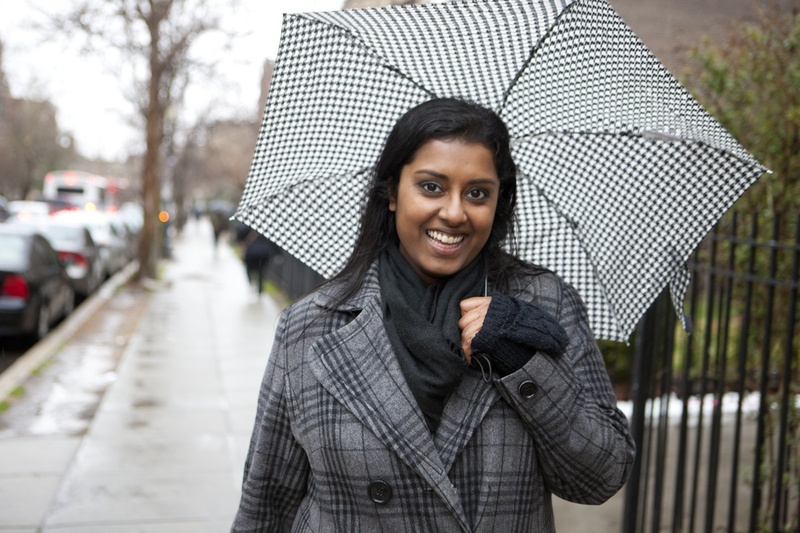 Of all the reasons Rohini Ramnath loves living in Washington, D.C. – the museums, the monuments, the food, the culture, her job – one thing stands out: the metro. Rohini grew up in Clinton, Iowa. Both of her parents are Indian; her father grew up in India; her mother in Malaysia. She came to Iowa State as a George Washington Carver Scholar and took advantage of everything the university had to offer. As a triple major in political science, international studies, and Spanish, Rohini got involved in Government of the Student Body, the Committee on Lectures, the Honors Program, and in other groups across campus. She studied abroad in Spain and backpacked across Europe. She was named a Wallace E. Barron All-University Senior. Following graduation in 2007, Rohini was selected as a Rotary Ambassadoral Scholar to Ghana, an experience she calls “life changing.” She received a master’s degree in international economics at the University of Ghana. Five years ago, she moved to Washington, D.C., as a member of the Teach for America corps. 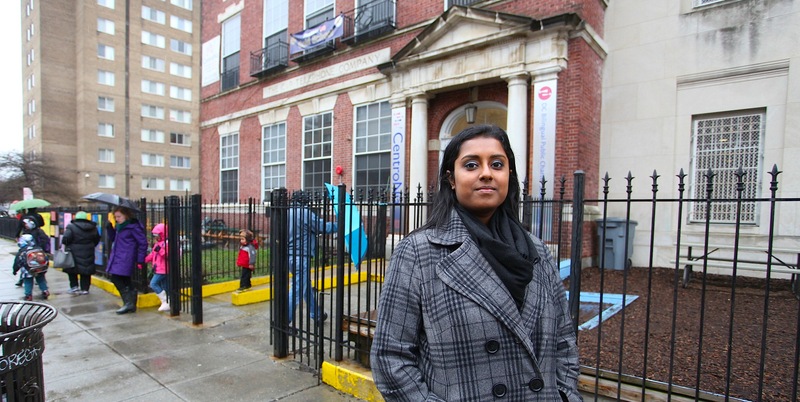 Rohini taught children at the Howard Road Academy and now works as a full-time data manager for CentroNia’s DC Bilingual Public Charter School. 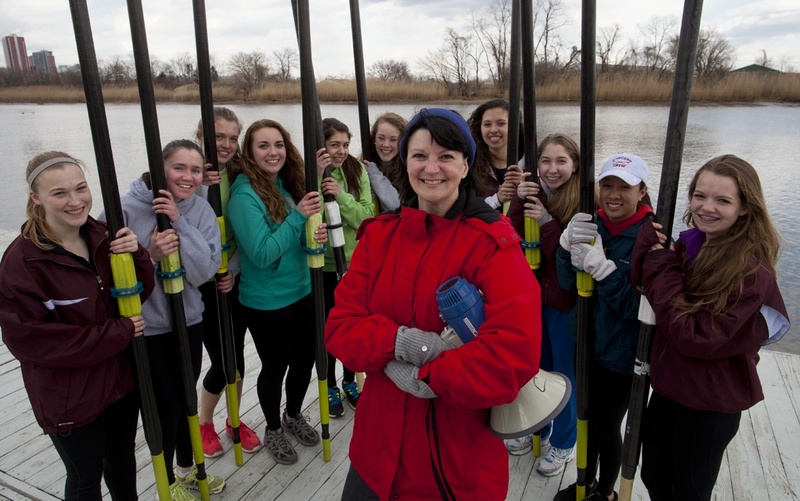 Her job involves working as an instructional coach with teachers and principals. “I’m hyper-focused on what’s going to be best for student achievement,” she says. Rohini recently bought a condo in the Georgia Avenue/Petworth neighborhood of D.C., which she describes as “the most grown-up thing I’ve ever done.” It’s one metro stop, or a 20-minute walk, away from her school. So here’s a fun thing that crosses into a lot of different areas of the ISU Alumni Association in April. It’s sort of a VISIONS Across America meets ISUAA Clubs meets community service meets Iowa State pride. It’s called Cy’s Days of Service, and it’s a project that runs throughout the month of April 2013. It’s designed to unite alumni in every state – and across the world – during the month of April, because that’s VEISHEA month. VEISHEA, as we all know, has a great tradition of service, so we thought this would be a cool way for alumni to continue that spirit of service even after they graduate. 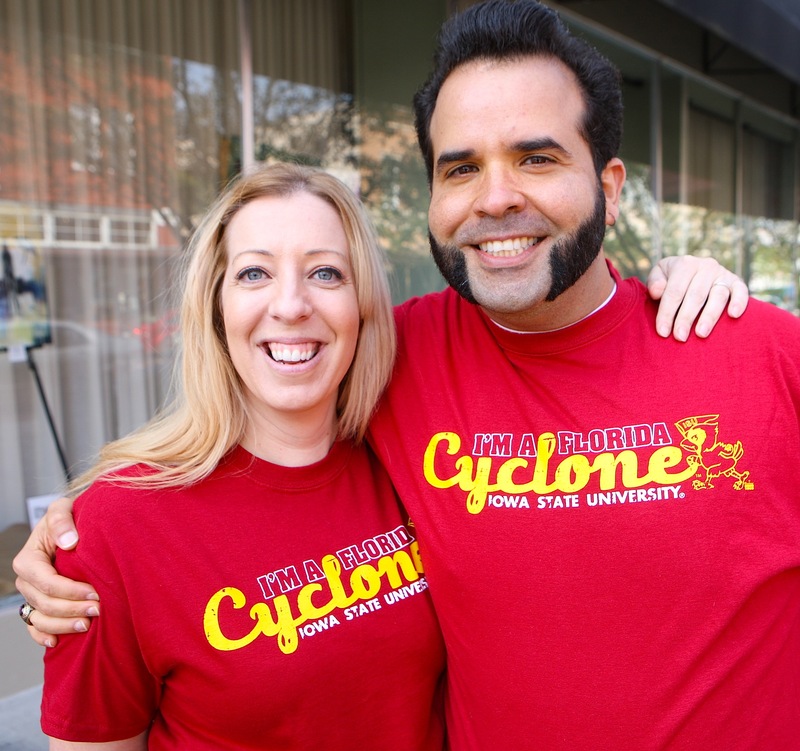 The ISU Alumni Association started this program last April, and it was a huge success (Cyclones donated a combined 1,500 hours of service worldwide). Several of the ISUAA Clubs participate in Cy’s Days of Service as a group, but even if you don’t live in an active club area, you can get your own group of Iowa Staters together or even do a service project on your own. Don’t forget to log your service hours and submit photos so everyone will know the awesome work you’re doing. Also, you can promote and follow service projects via our Cy’s Days of Service Facebook page. Isn’t this a great project? Thanks to Bridget Moore (’02 English) and Rafael Perez-Micheli (’97 art & design, ’03 graphic design) for modeling their shirts for Jim and me when we visited them in Sanford, Fla., in February.